The 10 Best Road Races in Utah! Utah is no stranger to running. Because we are blessed with some of the most breathtaking scenery in the country, why not get outside and get active to enjoy it all? For those of us uninterested in breaking a sweat, there’s always cheering on our comrades at the finish line. In the meantime, check out the 10 best road races in Utah in case you’re ready to get the blood pumping! A favorite of veteran and novice runners alike, this half marathon usually takes place a week or two before Halloween and encourages its participants to wear costumes. Even if you aren’t one for running, simply catching a glimpse of this race is ample entertainment. 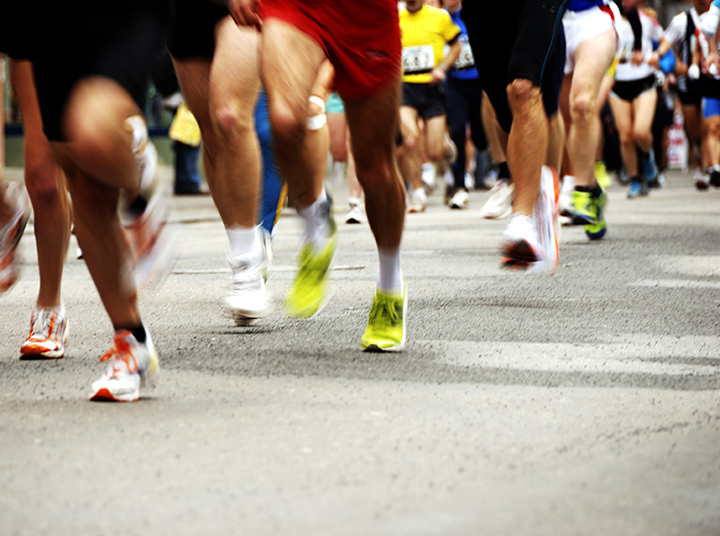 One of the most prestigious marathons in Utah, the St. George marathon is the marathon for the best of Utah’s marathoners, many of whom are looking to qualify for the Boston Marathon. The red rock backdrop is just as stunning as this race is competitive. The Utah Valley Marathon is catching impressive steam. Many are drawn to this race not only because it’s close to home for majority of Utah’s running population, but also because it takes its runners through a beautiful, breezy canyon. A staple Utah marathon, the Top of Utah race also offers shorter distances. Unlike a majority of marathons that take place farther south, this marathon celebrates the invigorating beauty of Utah’s northern country. A phenomenon sweeping the nation, Ragnar Relays are especially popular in Utah. Sometimes, the thought of going alone at something as exhausting as a road race is daunting. For those who are intimidated by this and enjoy the company of others, a Ragnar is perfection. A long-standing tradition at Brigham Young University in Provo, Utah, contributions to the Rex Lee Run go toward cancer research. The good news? This run is only a 5K, which means that with a bit of training, it’s potentially a great activity for the entire family. Another set of races dedicated to the fight against cancer, the American Fork Canyon races are a local favorite. The half marathon spans the unparalleled beauty that is American Fork Canyon—a shaded pine tree oasis with stunning views. This ultra-marathon probably isn’t a good fit for the average road runner, but the Goblin Valley Ultra Marathon is definitely a cult favorite for those who want to run their bodies to the point of near disintegration. Perhaps the scenic red rock makes it all worth it? If you’re looking to shake the winter blues and welcome in some spring sunshine, this is the perfect race. Between the half marathon and 5K options, the race is great motivation to get in shape. The reward? Satisfaction, a healthier lifestyle, and a whole bunch of colorful tulips. For many, racing is a social endeavor. Such is the case with the Utah Midnight Runs in Farmington and Provo. Equipped with loads of glow sticks, this race is especially popular with night owl college students. View more Utah Road Races.